alaTest has collected and analyzed 90 reviews of Samsung BD-C8000. The average rating for this product is 2.8/5, compared to an average rating of 4.6/5 for other products in the same category for all reviews. People are impressed by the size and reliability. The usability and design are also appreciated, whereas views are divided on the price. We analyzed user and expert ratings, product age and more factors. Compared to other products in the same category the Samsung BD-C8000 is awarded an overall alaScore™ of 69/100 = Good quality. 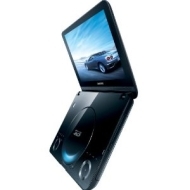 When I think Samsung, I usually think of one of the best when it comes to TV's, they failed on this portable blu-ray player.